Parker says that he is teaching people all of over the world to make an income in financial trading. He says that he managed to create a profitable trading algorithm that can make you $1,000 to $3,000 per day. This algorithm is used by the Traders Vendetta software that you can get for free. So, is this a genuine opportunity to make money for free? Traders Vendetta is supposed to let you take your vengeance on all investment scams that you lost money with. But in reality the opposite will happen, Traders Vendetta is just another scam that will make you lose another couple of hundreds dollars or more. The truth is that Parker is fictitious character created by scammers. There is no trader of this name teaching people how to earn money in Forex trading for free. The entire story you can hear in the video is made up. On the Traders Vendetta website you will see some testimonials from people who are allegedly making money with this program. But everything is fake. Check our picture and you will see that scammers used stock photos to portray the traders, their stories are of course totally fake. The best proof that Traders Vendetta is a scam is in the trading software they will give you access to. 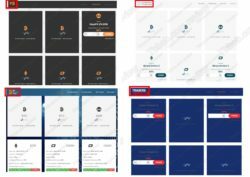 We tested the software and discovered that it is a well-known losing app used by a lot of scams. 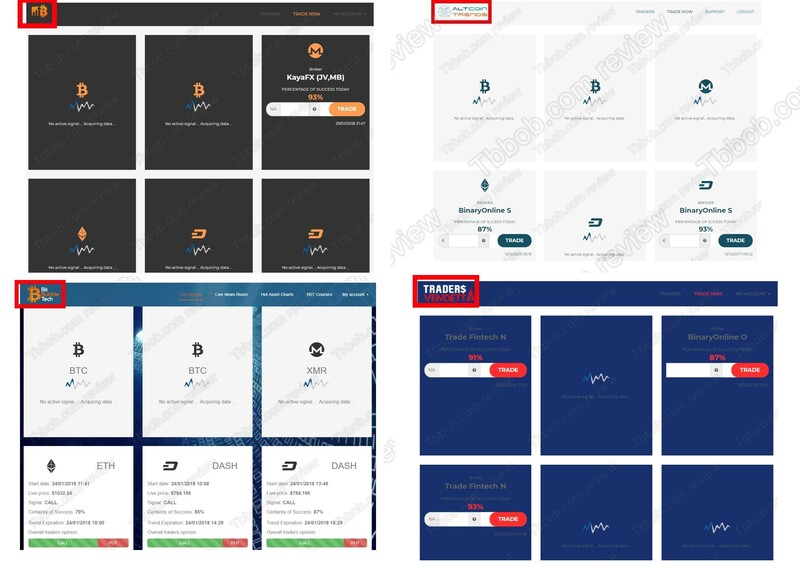 On our picture you will see that the same software has been used by scams like Bitcoin Secret Loophole, Bit Bubble Tech and Altcoin Trends. As we get plenty of feedback from real users about this trading app, we know that in real trading it is losing money! So, what is the real purpose of Traders Vendetta? You won’t be allowed to use the trading software until you deposit at least $250 with a selected and unregulated broker like Trade Fintech or BinaryOnline. The reason is that people who run this scam are being paid by those brokers for referring new depositors. That is the real purpose of Traders Vendetta, to earn money to scammers and lose yours with a crappy software and a crappy broker. Traders Vendetta is a total scam that can only lose your money, so stay away from it! If you are interested in earning money in trading, try first a free demo account with a regulated broker to see what it is all about. You need to learn and build a proper strategy before you can start thinking about trading with real money. i was scammed by them lost trading balance of ￡12000-00p plus amazon shares, bitcoin ,￡9000-00p from my bank account.